Service Oriented Architecture terminology has spread in recent years, at least among people who were involved in most of the Information Technology activities. The guidelines suggested by this methodology are granted as major factors to succeed in different distributable systems domains. Just as the definition is clear and easy to understand, so is its implementation into a real project, being intuitive, concise and elegant. 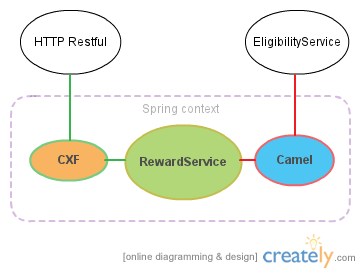 I am releasing a Gradle archetype useful for creating Java/Groovy applications based on Springframework. Of course, it is not a real archetype because such a creation is not possible. However, with very few steps you can create, edit and deploy an application server. It would be a most accommodating starting point for deployable software projects. This release is an attempt to mitigate common issues related to development life-cycle phases such as testing, the running of application and deployment in various environments. The archetype leverages upon the flexible building process and on the top-most featured IoC (Inversion of Control) management system. Automatic testing, building and continuous integration. A different configuration for each environment (development, integration, production). Grails-like DSL for Spring setup (beans.groovy). Logging and application configuration properties for each environment (development/integration/production). Problems exist using Maven in Groovy projects due to the gmaven plugin, which may indicate that it is not ready for the groovy-user community. Indeed, Gradle works perfectly on Groovy projects. It is so concise and elastic that you don’t have just a building system, you have a programming tool. When a customized behaviours proper plugin cannot be found in the registry, you may add custom tasks by writing groovy code directly to the build.gradle descriptor. Gradle is a swiss army knife for developers. where myApp is the name of your project. Edit property ‘projectName’ in ‘build.gradle’ with project name. Add classes, and manage them with spring ‘beans.groovy’. You are now ready to test, run and deploy your project through a continuous integration system such as Jenkins. If you have suggestions, or pull requests from Github, myself the author, would be happy to consider them. I think that to get up in the morning and brew a good cup of coffee is one of the best way to start the day. You know, the heady fragrance that emanates from the machine-pot, it’s delicious. When it’s ready, pour the coffee into a cup, add some sugar, and finally you got it – end of the coffee making process. Have you ever thought to design a coffee making process with some diagrams, or doing the same with other banal activities such as taking a shower? Of course not. For other cases less trivial than these, including software project development, a minimal-design work can be quite useful and somewhat needed. Often questions arise; is an architecture design worth the time and effort invested in it? Well, you may answer this question first: Are there risks in the project that could be minimized by an early design activity? The more ambitious and challenging the project is, the higher the number of risks, and the more difficult it is to complete successfully. Domains drive the architecture choices, not vice-versa. 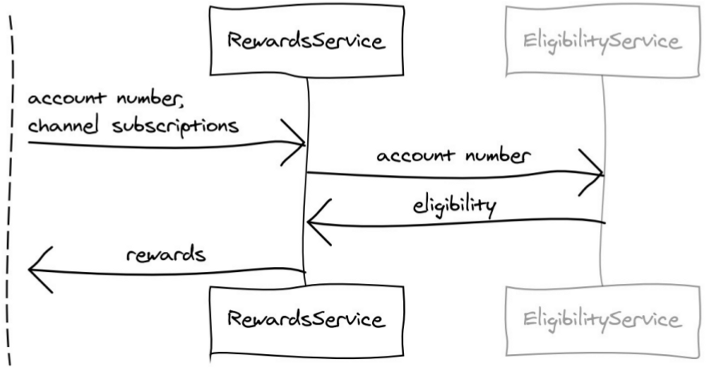 Requirements can create architecture problems. At the very least, you need to assist the business analysts. While prototyping pieces of software is a way for mitigating engineering risks and figuring out the hardest problems, writing code could be a waste of time for analyzing a domain. Rather, it’s very cost-effective to modelling it in advance. Clear communication is critical between people and the role of a software architect can be a very difficult one when others don’t understand what you do and why. Developers may copy an architecture from a past project. Maybe just following the company standard, but ignoring the motivations behind previous choices. They are more likely to be unaware of the qualities required in the current project. At least the documentation should be in your mind, but designers should use models to amplifying their reasoning abilities and unfold not clearly visible aspects that affect their own risks.